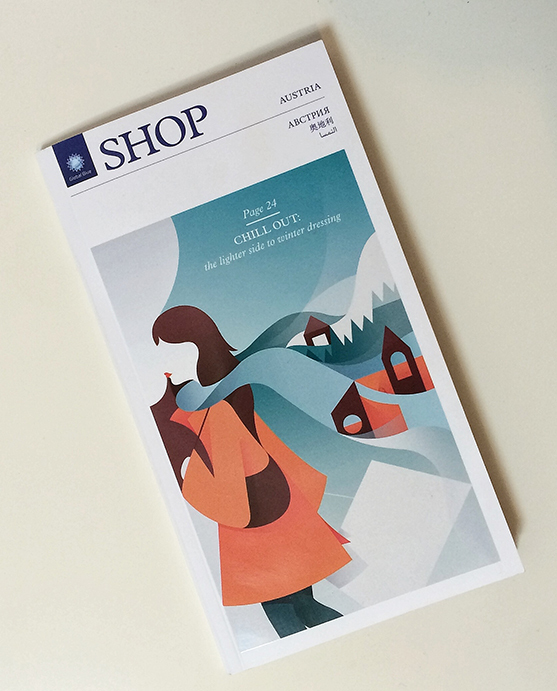 Ray Oranges has created this winter season’s cover for Austria edition of SHOP Magazine. 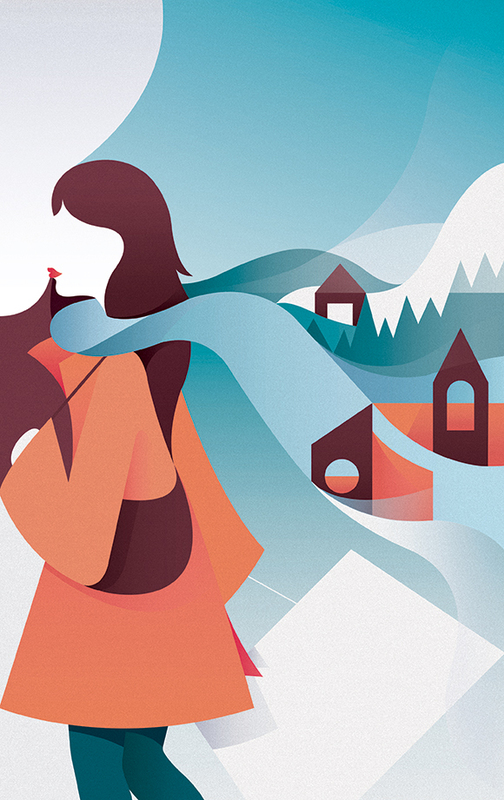 Inspired by the magazine’s main feature on how to dress well for the Austrian winter, the cover shows a woman whose scarf is billowing in the wind, becoming wintry hills, mountains and buildings. “Ray’s clever use of space and scale makes him the perfect illustrator for this cover!”, said the team at Global Blue. 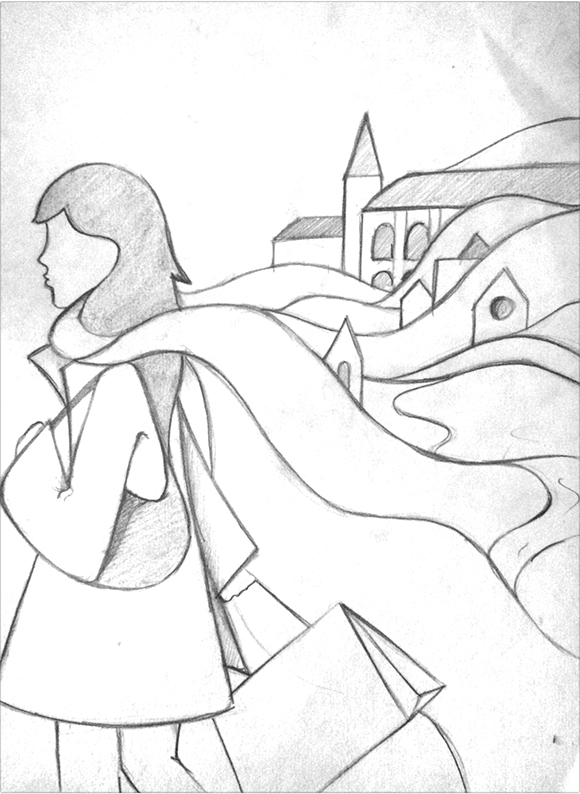 To see more of Ray’s work see here.